Children enrolled in our program must be 3 years old, by October 1st and almost/nearly toilet trained. We limit the total number of children per session to no more than 5 students at one time. Limiting enrollment ensures abundant attention to your child, as well as, lots of physical space as our building occupancy is much larger. Our school playground is partially shaded. fully fenced, and over 3000 square feet! If you believe you are interested in enrolling your child in our program, please plan to attend a personal tour with Melanie and/or Jessica. Once parents decide upon our program, and we determine class placement, a contract will be signed. We require a 1 month tuition deposit. The tuition deposit is non-refundable, but is applied toward the very last month your child is enrolled in school. 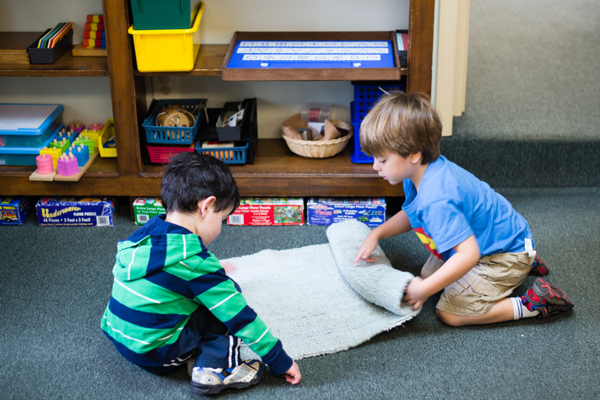 You are not required to pledge time, money or material to the school, as in most other Montessori schools.